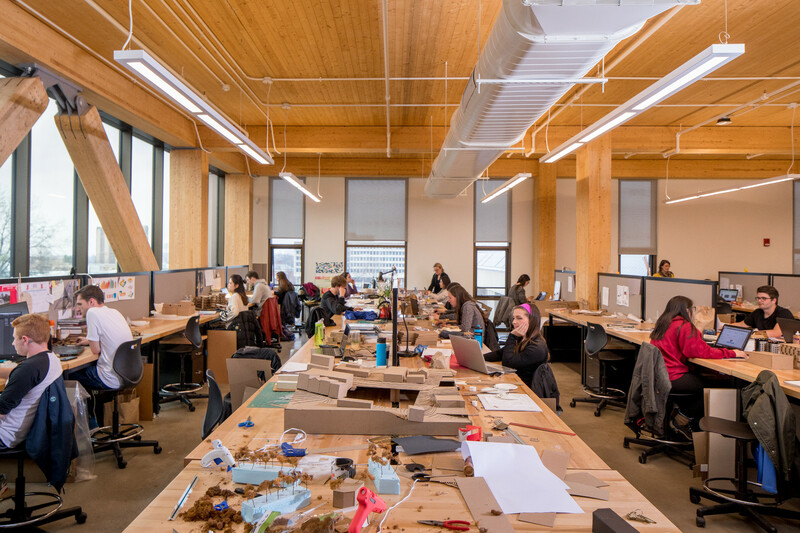 Wood building may be the future of higher education institutions, but despite all of its support, the trend isn't without its challenges. The proposed 4,200-seat Idaho Central Credit Union (ICC) Arena will have a structure that consists primarily of wood, using innovative construction technology that is gradually finding its way into new campus buildings across the U.S. The trend has been driven by an aggressive effort from the wood-products industry to generate demand for the emerging market segment. And it is feeding colleges' desire to show off commitments to sustainability, local industry and innovation. 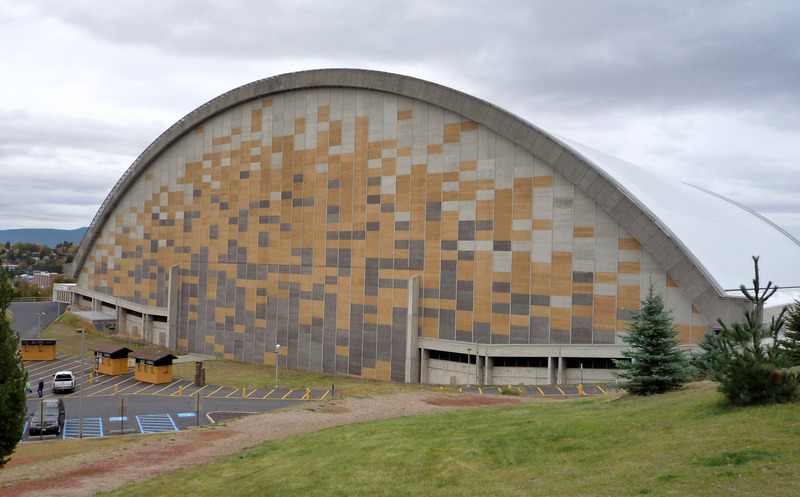 The Kibbie Dome at the University of Iowa. 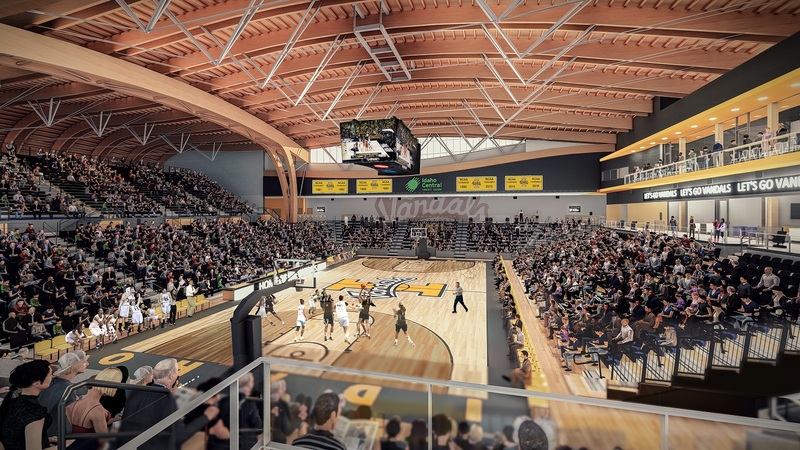 With the ICC Arena, U of Idaho wants another showpiece building that nods to the state's timber industry and taps into the college's programs in natural resources, architecture and engineering. 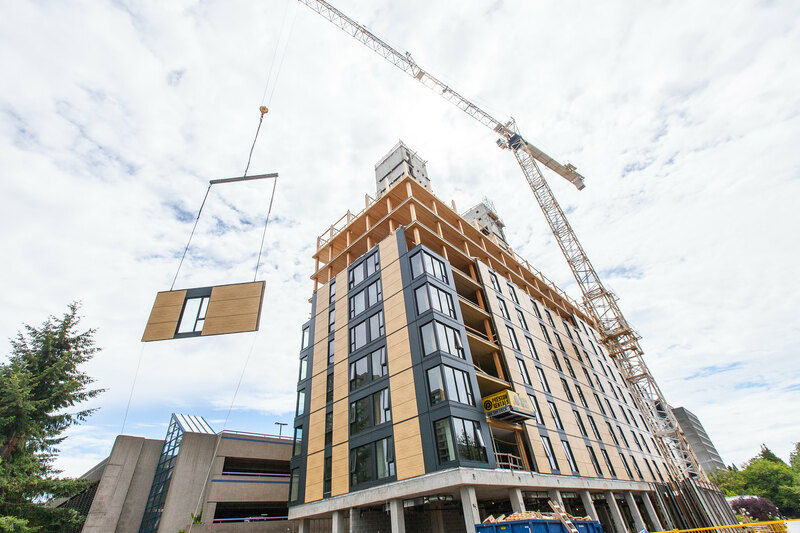 It already houses a small mass timber building on campus, and its plans for the new arena won the support of an industry eager to see larger structures made of new kinds of wood products. 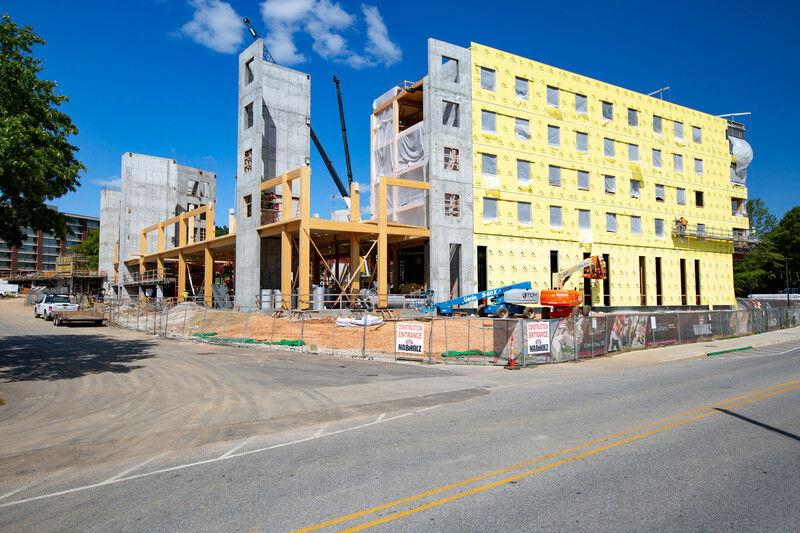 The University of Arkansas is using mass timber for a pair of residence halls, which are under construction. They, too, will be a teaching tool, wrote Mike Johnson, the university's associate vice chancellor of facilities management, in an email to Construction Dive's sister publication Education Dive. 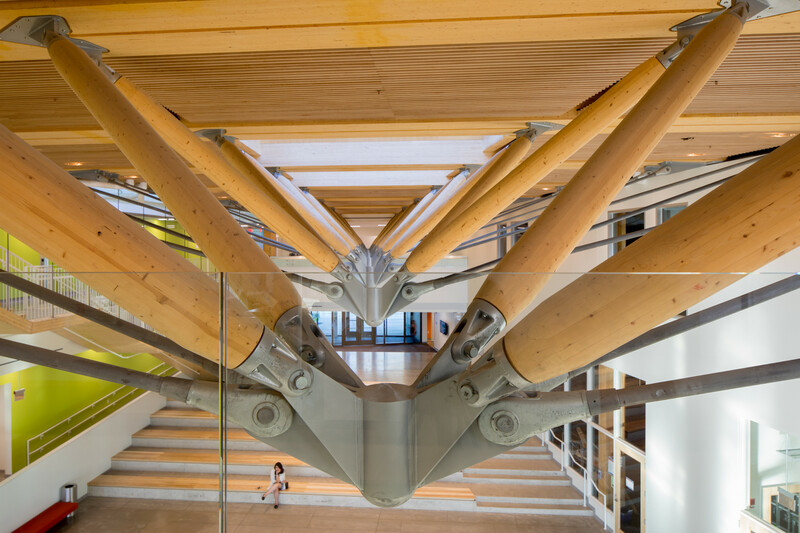 "Timber offers educational opportunities through an assessment of the unique structural components," he explained.